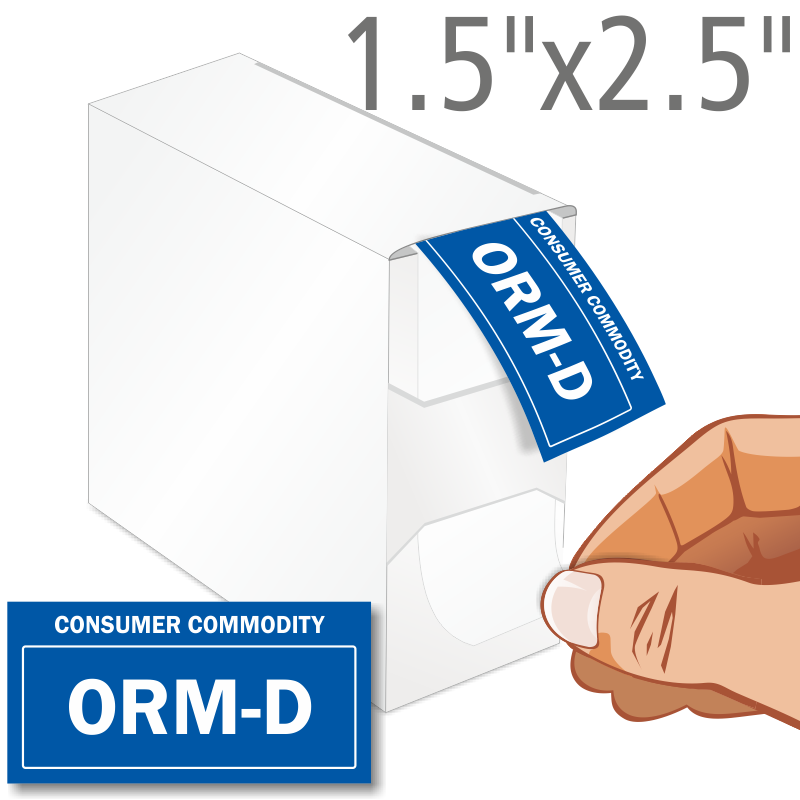 Vivid ORM labels mark hazardous packages that are not always specifically cited under DOT regulations. 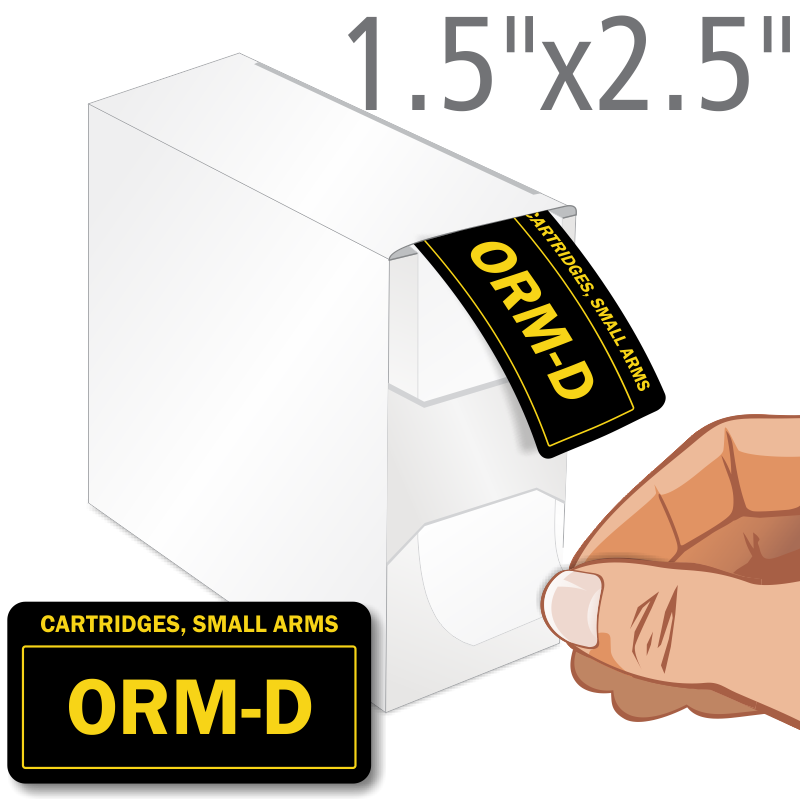 Packages that are non-bulk, but contain material defined as ORM-D must be labeled on at least one side or end. Also included here are IATA limited quantity labels. • Peel-off liner with tough adhesive sticks well to cartons, shrink wrap, or drums. 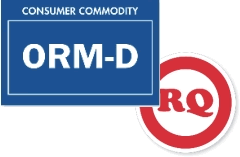 • Sold in rolls of 500 or 1,000 labels to help meet the requirements of 49 CFR 172.316, and to comply with Restricted Articles Tariff 6-D.
• An ORM-D is a material that presents a limited hazard during transportation due to its form, quantity, or packaging. More information on shipping ORM materials can be found in 49 CFR 172.101. Only $15.18/roll of 1000 labels. Only $30.58/roll of 500 labels. Only $38.28/roll of 1000 labels. Only $36.68/roll of 500 labels. Only $8.93/roll of 500 labels.